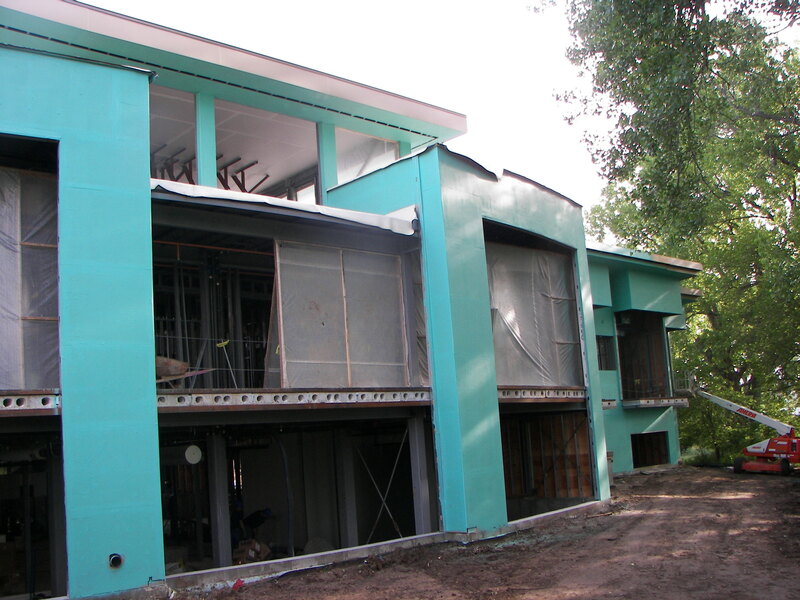 Air barriers are installed to control the movement of air and moisture through a building assembly. The air barrier system seals the building enclosure and protects the building from harmful effects of air leakage. Uncontrolled air leakage can have costly effects on how a building functions, and even shorten the life span of a building. It’s important that air barriers be properly designed and installed to create an airtight building enclosure. Air barrier systems are comprised of several different materials which are pieced together to provide a complete and continuous barrier. A complete air barrier system will seal together all sides of the building, the seams around windows and doors, and the separations within a building. ARID Resources was the 2012 recipient of the National Salute to Air Barrier Excellence Award. This outstanding recognition reflects the superior craftsmanship employed to achieve a perfect score on all quality control audits performed by regulating authorities. ARID has also been recognized as national champions in conjunction with the ABAA’s on-site Quality Assurance program. This program provides a level of assurance that a specific product is installed correctly, or a specific service is being provided to the highest possible standards. ARID Resources is certified by the Air Barrier Association of America (ABAA) and is proud to be a part of ABAA’s On-Site Quality Assurance Program.